Being an architect is fun and exciting, isn’t it? We work with various tools and software to design and have a world of opportunities to explore our creativity. However, interest and enthusiasm can take a real hit if we end up with the wrong equipment. Printers are an essential part of the architect life. We need the right printer to showcase our designs and drawings to clients. The regular printers will not serve our purpose, though. We need specific 11×17 printers. These are wide format printers that will actually do justice to our work. Let’s see what the market has in store for us in this regard. HP can never be far behind when we think of printers. 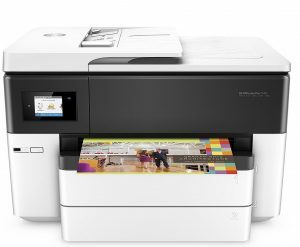 It is no wonder why, thus, the first printer we talk about today is the HP OfficeJet Pro 7740. This versatile printer can carry out a number of useful functions including scan, copy, and fax. It is a wireless printer, which means you can connect your smartphone through the Internet and start printing through AirPrint. It offers up to 22 ppm in black and 18 ppm in color. It is a touchscreen printer. You can expect up to 1200 dpi scan resolution. You can use a wide variety of papers with this printer. The company gives the list of recommended papers as well. The text comes out beautifully, and the colors are captured vibrantly with HP OfficeJet. It has a 2-sided automatic document feeder, which means you can print multiple pages together without having to wait too long. Enjoy seamless borderless printing each time! Its cartridges are apparently high-yielding, providing 3,000 black pages and helping you save a lot of money in the process. It is a wireless printer and works excellently with Wi-Fi. It allows two-sided printing, enabling you to save paper and time. It has a color, touchscreen display. You can enjoy borderless printing, but when it comes to scanning and copying, it isn’t borderless. It is very easy to use once you set it up. 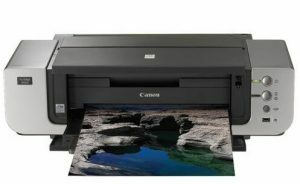 All in all, it is a superb printer for its price. Canon is not going to be ignored at any cost! It is among the best brands when it comes to printers and its products prove that it deserves its place in the top. The PIXMA Pro9000 Inkjet Photo Printer is for fine art paper up to 13 x 19 inches, making it a real catch for architects. Enjoy 4800 x 2400 dpi thanks to its FINE printhead technology. The brand promises photo lab quality prints at a good speed. It comes with ambient light correction feature and optimizes color based on the lighting condition. It has a separate feeder for heavy-weight papers. It works on 8-color dye-based system for amazing quality. It has a built-in auto photo fix technology. It allows printing through the USB from your camera, phone, or camcorder. Remember that this is a large printer for specific purposes. Check out its features and match them with your requirements before purchasing them. 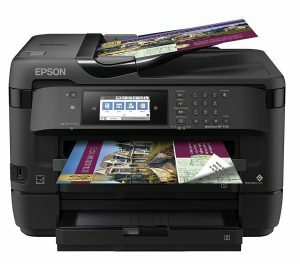 Epson is another popular name that has consistently provided some of the best 11 x 17 color laser printers. 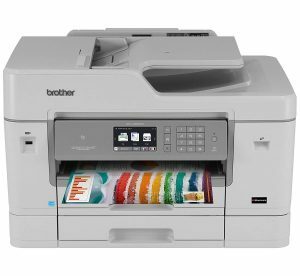 The 1430 Wireless Color Printer is one of them. It boasts of providing borderless prints that are of very high quality. It is a wireless printer, which means it makes life easy by letting you print using Wi-Fi. You don’t need a computer to use this printer. A smartphone is more than enough! It comes with 6-color Claria ink. The prints are high quality, and you can print up to 13 x 19 inches. You can even use the printer to print CDs. It comes with individual ink cartridges so that you don’t have to replace everything if one color runs out. You can replace that particular color only. It prints smooth gradients without graining. 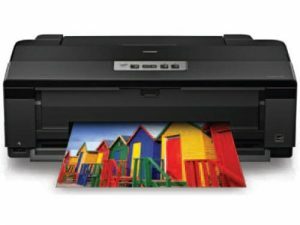 Another great product from Epson, this wireless printer promises performance that’s better than laser. It is one of the most popular 11 x 17 wide format printers today. Enjoy borderless printing each time. It has a capacity of 500 sheets with dual trays. It offers 2-sided print with a 35-page auto document feeder. It also has a rear-feed for specialty paper to make things easy for you! The product comes with 4 cartridges (1 black and 3 color). It allows wireless printing through smartphones and tablets. Printing is quick and quite reliable. Isn’t it amazing that there are so many different wide format printers for architects today! We are definitely spoiled for choice. 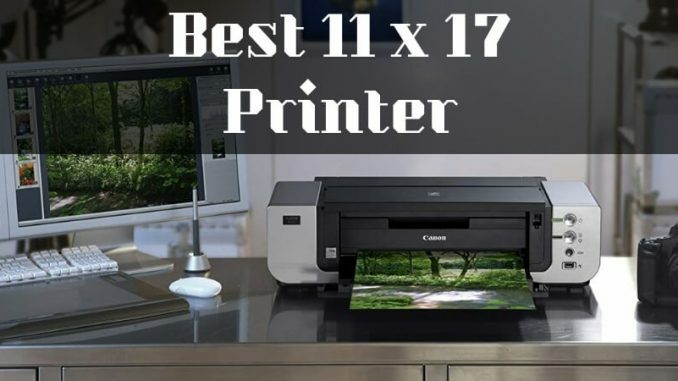 We mentioned only our top 5 best 11 x 17 printers for architects but if you have any others that you think are amazing, do let us know in comments!